constantly connected world presents a great opportunity for marketers to be more effective and relevant to customers by optimizing for context -- device, location and time. Earlier this year, we launched enhanced campaigns to help advertisers take advantage of these new opportunities and manage their ad campaigns more effectively. Bid adjustments make it easy to raise or lower your bids based on user context. To help you optimize your bid adjustments, we're introducing bid adjustment reporting in Google Analytics, allowing you to analyze performance for each of your bid adjustments across devices, locations, and time of day. You can access the new report by going to Traffic Sources > Advertising >AdWords and clicking the Bid Adjustments link. With the new Bid Adjustments report, you can take advantage of the full range of visitor metrics available in Google Analytics to optimize your bid adjustments. This provides a window into your users’ behavior, allowing you to optimize bid adjustments based on behavior & goal conversion data like bounce rate and time-on-site. In addition, with Ecommerce tracking enabled in GA, you can now use this data to fine-tune your bid adjustments in AdWords based on the actual revenue generated, instead of conversions. This means you can optimize for ROI instead of CPA goals. A quick example illustrates this (illustrated in the above screenshot). Imagine a hotel chain has set Time bid adjustments of +20% on Saturday and Sunday after observing a better ROI on those days. Using this new report in GA, the hotel chain now observes that their ROI on Sundays is actually higher than on other days of the week. The hotel chain's analyst finds that customers book more expensive rooms and longer stays on Sundays. Using this information, the hotel chain increases its existing Time bid adjustment for Sundays. This new bid adjustment report is available in all Analytics accounts that are linked to AdWords. We recently made it much easier to link your accounts, so now is a great time to do so if you haven’t already. Our constantly connected world presents a great opportunity for marketers to be more effective and relevant to customers by optimizing for context -- device, location and time. Earlier this year, we launched enhanced campaigns to help advertisers take advantage of these new opportunities and manage their ad campaigns more effectively. Bid adjustments make it easy to raise or lower your bids based on user context. Google Analytics Certified Partner at ACCELERATE, their annual conference, held this year in Columbus, Ohio. This event will take place on September 26, 2013. ACCELERATE is an opportunity to learn from the best in the industry in a concise and efficient format. Speakers from FedEx, Nestle Purina, Wells Fargo, Best Buy, Home Depot, many others will be sharing “Ten Tips in Twenty Minutes” on a wide range of digital analytics and marketing optimization topics. Topics at the 2013 event include analytics communication, mobile and social media analytics, tag management, turning around analytics implementations, big data, data integration, and much more. Google’s own Krista Seiden will be speaking on “Ten Tips for Getting the Most out of Google’s Analytics Platforms.” Tips will include Krista’s practitioner viewpoint on best uses of Google Analytics dashboards, advanced segments, Content Experiments and Google Tag Manager. Tickets for ACCELERATE are only $99 USD. Web Analytics Demystified will also be holding two days of Advanced Analytics Education immediately before ACCELERATE. Learn directly from the some of the greatest minds in digital analytics today! Learn more about ACCELERATE: Conference information, advanced analytics education, and past events. Join Web Analytics Demystified, a Google Analytics Certified Partner at ACCELERATE, their annual conference, held this year in Columbus, Ohio. This event will take place on September 26, 2013. Google recommends responsive web design as a way of optimizing for smartphones and tablets. Responsive web design is a method of identifying the device based on the screen size and adjusting the design using CSS, while sharing one block of HTML across all devices. The concept has also been discussed on the Webmaster Central Blog so head over there for more details. 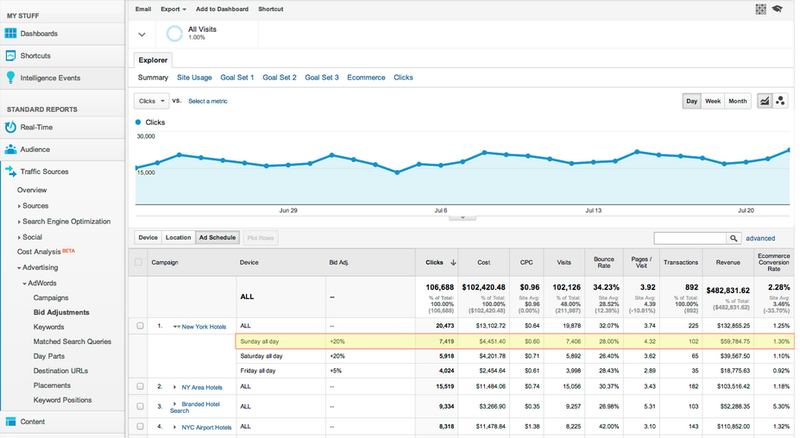 This post will look at an example of using Google Analytics on a site enabled for responsive web design. The case involves a Google Analytics Certified Partner (GACP), NRI Netcom, working on an overseas payment service website for their customer, Seven Bank. NRI Netcom installed Google Analytics for post-optimization data analysis to support Seven Bank's web publishing and marketing. The implementation enabled pages to be served to desktop PCs, smartphones and tablets using responsive web design, all from a single URL. They used page-level custom variables in Google Analytics to enable NRI Netcom to access reports on each type of page sent out. For example, page-level custom variables can be set up as follows to identify which CSS version is being displayed: PC, smartphone or tablet. The actual setup was a little more complex. The three screen types (smartphone, tablet and PC) were added, and the display height and width selected for each user tracked. Then, Seven Bank deployed its website in ten languages, as this was to be an overseas payment service. It was configured to handle three different types of devices, different screen heights and widths, and different languages, as well as to provide instant verification on the Google Analytics Reporting screen. 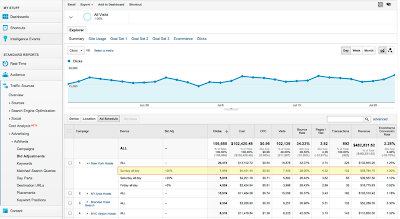 Several pieces of useful information began to emerge from the Google Analytics data. Firstly, as a result of optimizing for smartphones, there was a clear improvement in engagement and conversions amongst mobile users. Differences between tablet and smartphones were also observed. Engagement metrics such as average time on page and average page views differed widely. Metrics were also found to be clearly different depending on whether the same smartphone/tablet was held horizontally or vertically. A number of other effects were seen which weren't particularly relevant to conversions. A clearer picture of referral paths for mobiles and their effect on conversions aided understanding of the efficacy of incoming traffic. Whereas organic search won out on pure referral numbers, the number of conversions from users clicking the Seven Bank inquiries link on smartphones to make a call (measured using event tracking) was clearly better at referrals routed through AdWords. Interesting results were also seen for different languages. It was obvious, for example, that conversions on mobiles were much higher for specific languages. 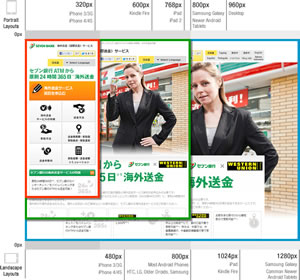 All of this is actionable data which will continue to help Seven Bank develop marketing strategies and further optimize their mobile site — read the full case study here (in Japanese). The following was originally posted to the Analytics Japan blog. Google Tag Manager. As referenced in our previous post this morning, Google Tag Manager is now serving twice the amount of traffic it was in April 2013 and we have been steadily adding features. Recently, at Google I/O, we announced that Google Tag Manager will also work with mobile applications. This week, a consortium of companies, including IBM, Accenture and more, along with the W3C, announced they are collaborating to create a standard Data Layer. 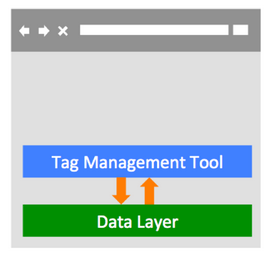 The data layer is a core component of Google Tag Manager and a common way for all businesses to implement tag management tools. It’s a standard way to format data within a web page. Think of the data layer as a central way for analytics and marketing tools to communicate and share data on a web page. 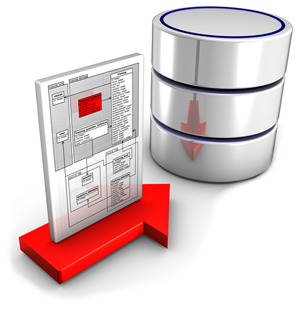 It's typically used in two ways: 1. to store data and provide a clear separation between the data and presentation layer of the page and 2. to store data when some type of user activity occurs. The information in the data layer can then be consumed by different web technologies, like analytics tools or marketing tools, through a tag management platform. Through the W3C community group we’re supporting the effort to standardize the format and syntax of the data layer. This will make it a lot easier for businesses to add data to HTML and access it with different tools. An industry-wide standard will create a common way that websites and tag management tools can interact - thus making it easier on site owners. Standards can not exist in a vacuum. They need adoption. Please take some time to learn about this effort and the specification. You can learn more about the work at the W3C Customer Experience Digital Data Standard Community Group site where you can also review the first draft of the Specification. If you’re interested in participating please join the group and help us test and refine the spec. It’s been an exciting few months for Google Tag Manager. As referenced in our previous post this morning, Google Tag Manager is now serving twice the amount of traffic it was in April 2013 and we have been steadily adding features. Recently, at Google I/O, we announced that Google Tag Manager will also work with mobile applications. We’ve been thrilled by the response. Google Tag Manager is now serving twice the amount of traffic it was in April 2013, as a significant number of large advertisers with complex tagging needs have signed on. They needed to deploy a large number of marketing tags to enable their advertising campaigns, often with complex logic around what data to include from the page, and which tags to fire when. Marketers were dependent on IT to deploy these tags. Limited IT resources meant slow turnaround time, lost insights, and lost revenue. Get started with Google Tag Manager now at the GTM site, watch our introductory webinar for an overview or view our technical implementation webinar to answer your in-depth questions. Update: have Google Tag Manager questions? We'll be answering them in this thread on Google+. It’s important for businesses to stay up to date about the most recent research and insights related to their industry. Unfortunately -- with so many new studies and with data being updated so often -- it can difficult to keep up. To make life a bit easier, we created the Databoard for Research Insights, which allows people to explore and interact with some of Google’s recent research in a unique and immersive way. The Databoard is our response to three big challenges facing the vast majority of research released today. 1. Ease of consumption: The databoard introduces a new way of sharing data, with all of the information presented in a simple and beautiful way. Users can explore an entire study or jump straight to the topics or datapoints that they care about. The Databoard is also optimized for all devices so you can comfortably explore the research on your computer, tablet, or smartphone. 2. Shareability: Most people, when they find a compelling piece of data, want to share it! Whether its with a colleague, client, or a community on a blog or social network, compelling insights and data are meant to be shared. The databoard is designed for shareability, allowing users to share individual charts and insights or collections of data with anyone through email or social networks. 3. A cohesive story: Most research studies set out to answer a specific question, like how people use their smartphones in store, or how a specific type of consumer shops. This means that businesses need to look across multiple pieces of research to craft a comprehensive business or marketing strategy. To address this need, the Databoard allows users to curate a customized infographic out of the charts or data points you find important across multiple Google research studies. Creating an infographic is quick and easy, and you can share the finished product with your friends or colleagues. The databoard is currently home to four research studies including The New Multi-screen World, Mobile In-store shopper research, Mobile search moments, and more. New studies will be added frequently so be sure to check back often. To get started exploring the Databoard and creating your own infographic visit google.com/think/databoard. The following was originally posted to the Inside AdWords blog. 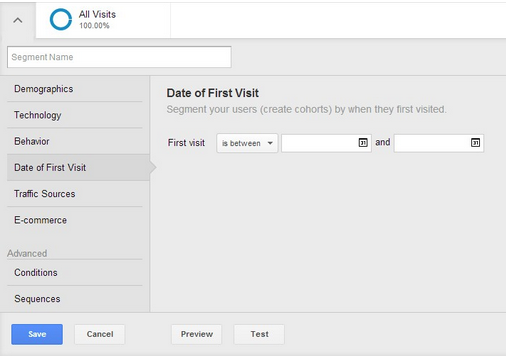 Over the past year we’ve added many new features to Google Analytics. Today we are releasing all of this data in the Core Reporting API! We’re very excited to release this data and thrilled to see what developers build next! With the new infrastructure, reports will reflect the most recent AdWords settings such as campaign or ad_group names keeping them fresh and consistent with AdWords. In the example below, a user has renamed their campaign thrice from “Big Deal” “Big Deals” “Big Deal - Car Accessories”. In the current reports, visits are attributed to the three different campaign names while clicks are attributed to the newest campaign name. After this change, both visits and clicks metrics would be associated with the most recent campaign name: “Big Deal - Car Accessories”, thus collapsing multiple rows into a single row. The new integration is laying the foundation for adding new AdWords dimensions quickly and for creating new reports with speed. Very soon, advertisers would be able to access reports based on their Enhanced Campaigns’ targeting settings; reports containing rich information to help fine tune ads targeting settings and bid adjustments for improved ROI (Return On Investment). The new integration allows users to show or hide data for auto-tagged AdWords accounts by linking or unlinking the account to a profile. If a user un-links an Adwords account from a profile, all historical data pertaining to the account would be hidden by rolling them up into (not set). Over the next few weeks, the new AdWords integration platform will be rolled out to GA accounts gradually. Advertisers like to see reports in Analytics which are fresh - reflecting their up-to-the-minute AdWords settings - and consistent with the AdWords reporting. Today, Google Analytics is excited to announce that it is rolling out a new AdWords integration infrastructure for our advertisers to realize these benefits. More importantly, the new integration is laying a foundation for adding new AdWords dimensions quickly - such as Ads - and paving the path for a rich set of reports such as enhanced campaign bid adjustments and Google Display Network targeting settings. 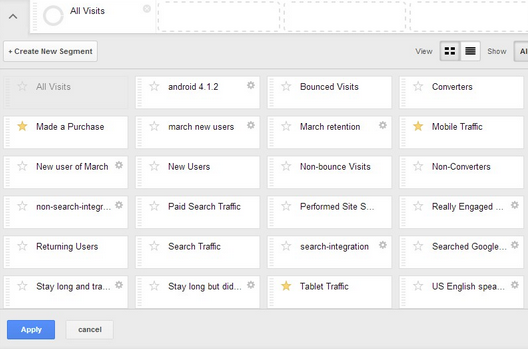 Highlighted below are a few ways in which the new platform will start impacting AdWords reports in Google Analytics. When it comes to web analytics, one of the biggest complaints from marketers has long been the lack of technology to measure the ROI of social media. Thanks to our exciting integration between Google Analytics and Wildfire by Google that was first announced at thinkDoubleClick in June, those blind spots are now a thing of the past. This webinar will demonstrate how social media impacts the customer journey and then show you how Google Analytics lets you measure that influence in detail. We’ll start by showing you the best way to set up your modeling and reporting to include all your social marketing efforts. 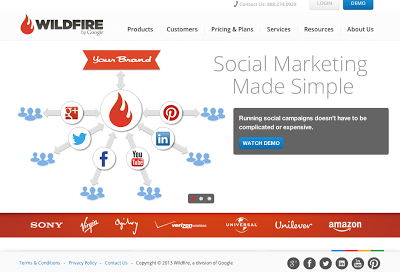 Then we’ll give you a live demo of the Google Analytics integration with Wildfire. 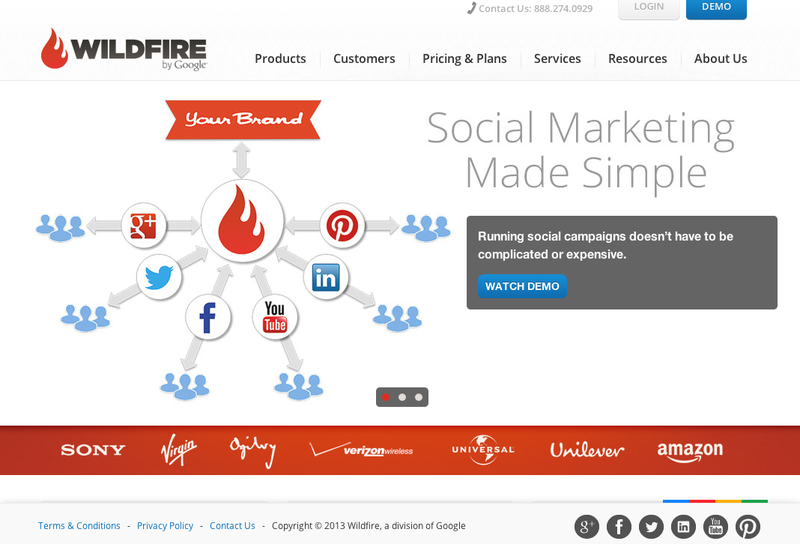 Now you’ll be able to see exactly how each and every social message and page published with Wildfire drives traffic and revenue to your website. The webinar features Adam Singer, Product Marketing Manager for Google Analytics and Jessica Gilmartin, the Head of Product Marketing for Wildfire by Google. They’ll be joined by Adam Kuznia, Social Media Manager for Maryland Live! Casino, who will share the story of how he built the gaming industry’s largest East Coast social media community from scratch in just six months using Wildfire and Google Analytics, and proved to his management team the ROI of social. This webinar is Part 1 of a three-part educational series introducing Google and Wildfire analytics integrations, so be sure not to miss it.